This listing has been deactivated by the seller. You will no longer be able to contact the seller. 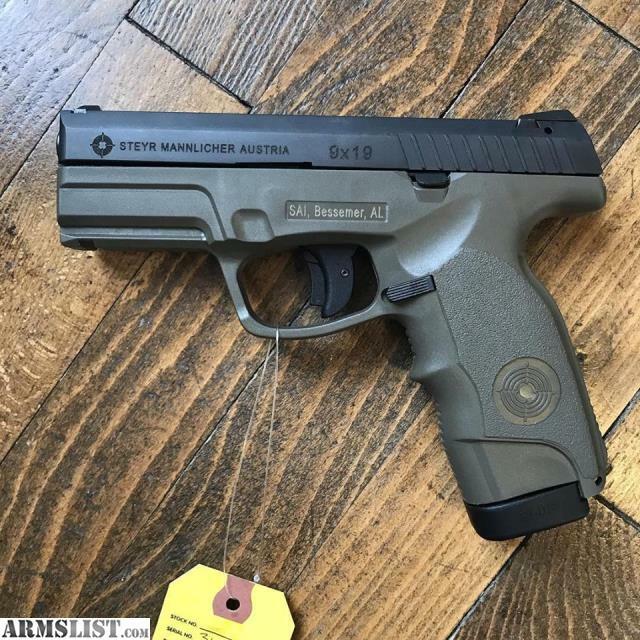 New Steyr M9-A1 9mm pistol in ODG. Comes with case and 2 mags. Cash price $499.55. Steyr is curently offering a $50 mail in rebate till Dec 31st. We offer a 3% discount on cash in person firearm purchases. Shipped firearm purchases are credit card only. The pricing listed does not include sales tax required for Ohio residents only. ALL SHIPPED FIREARMS MUST BE SHIPPED TO A FFL DEALER. If you need a gun transferred to us we offer FFL transfers for $20. We have a 30 day layaway program.